2018 Volkswagen Polo GTI review – price, specs and release date | What Car? The GTI badge may be most synonymous with sporty Volkswagen Golfs, but hot Polos have also worn these three letters since 1998. 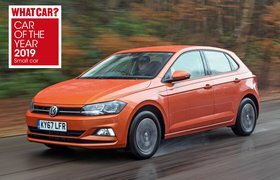 Yet the Volkswagen Polo GTI remains comparably inconspicuous, having never made the impact of its better-selling bigger sibling. While the outgoing Mk4 Polo GTI represented a marked step forward and was Volkswagen’s best attempt to date at producing a mini-Golf GTI, it failed to really entertain and so could never truly take on more fun hot hatch rivals such as the Ford Fiesta ST and Mini Cooper S.
Volkswagen has a habit of gently evolving its products through each generation, so you might expect this fifth-generation Polo GTI to bring more of the same. But no – this car promises to buck the trend with a leap forward. It has been fine-tuned by the same engineering boss who brought us the excellent-handling Golf GTI Clubsport and received parts from the very latest hot Golf, including its proven turbocharged 2.0-litre engine. The Polo GTI has grown, too, providing passengers with more space inside and an improved luggage storage capacity. It also features a technology specifications list to worry far more expensive models, with the optional digital display – which replace the dials – being the first time such technology is offered in this class of car, as well as a long line of driver assist features including radar-based automatic emergency braking. The latest Polo GTI is instantly recognisable as just that, thanks in part to the car looking like a miniature Golf GTI. It receives the same raft of GTI decor, including a red strip across the nose, subtle sports body kit and tartan seats. If the car’s character can follow suit and offer hot Golf performance and usability in a smaller, more affordable package, the Polo GTI will be off to a very good start indeed. Press the starter button and the engine bursts into life and settles into a deep – almost raspy – idle. Essentially a detuned version of the Golf GTI’s engine, it produces 197bhp (the Golf GTI has 217bhp) and 236lb ft of low-down pull – these are numbers to shame its key rivals. On the move, however, the car feels like a regular Polo, with a low exhaust tone and smooth power delivery accompanied by a supple ride, light steering and little road noise. In normal traffic and around town, there’s little sign that this car is of the hot hatch variety. The Polo GTI features three drive modes that adjust how it reacts to your inputs and are selectable via the infotainment screen. A fourth mode, Individual, allows you to customise between settings of the other three. Of the main modes, Eco gives the car its most lulled reactions, Normal provides more conventional responses, while Sport sharpens the accelerator and adds weight to the steering. 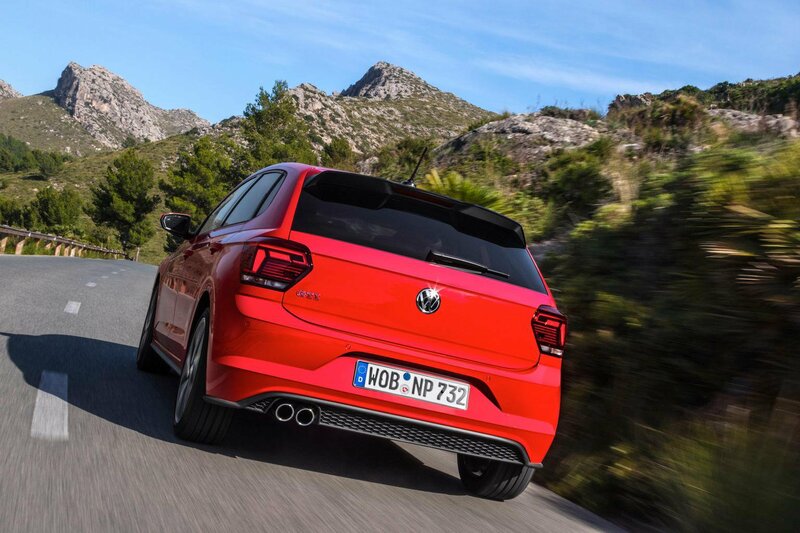 Key to the new Polo GTI is its Sport Select suspension, which is fitted to our test car and enables the Sport setting to enhance the car’s active dampers and make them better-suited to spirited driving. 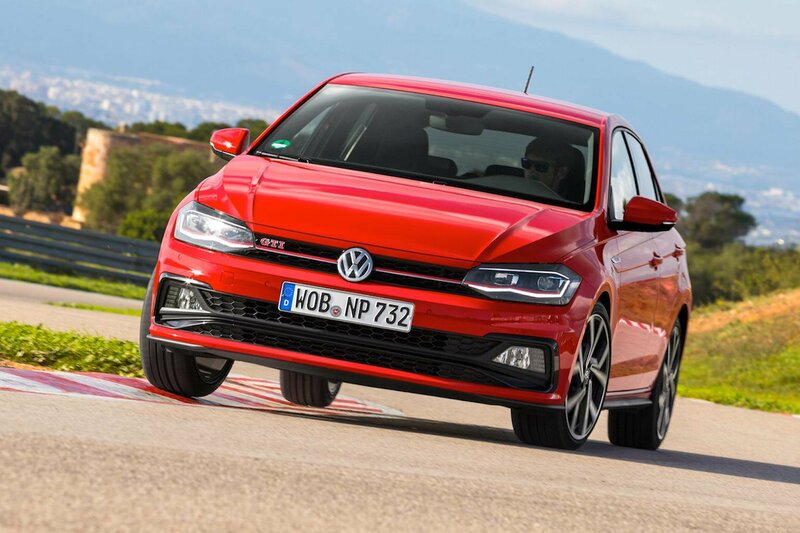 In this mode, the Polo GTI retains a comfortable ride but adds extra composure, riding over bumps in a sure-footed manner that allows you to carry more pace through the bends without fear of an unexpected slide. The rear can be encouraged to move about if driven enthusiastically, making the car more entertaining that its forebears and reminiscent of the larger Golf GTI. But it never quite reaches the thrill levels of the previous Ford Fiesta ST (we have yet to see what the latest Fiesta ST will be like). The engine’s character feels well suited to this set-up, providing a linear surge of power as the revs rise, ensuring swift – albeit undramatic – progress. The six-speed DSG automatic gearbox changes gear quickly but can be hesitant to react when really worked in manual mode. For this reason, unless you require an automatic, we’d be tempted to wait for the six-speed manual option, which is due later in 2018, for maximum engagement. Inside the new Polo GTI, you’ll find a similar infotainment layout to that in the Golf GTI. The bright, responsive touchscreen is available in 8.0in form accompanied by Apple CarPlay and Android Auto smartphone mirroring, as well as the option to add Volkswagen's Active Info Display digital dials in place of the standard instruments. That display can be set to show the satellite navigation map across its entire width – impressive for a car in this category – so you don't have to peer across to the central infotainment screen. Surrounding this high-tech layout are soft-touch plastics and metallic trim accents, giving the cabin a high-quality finish, while sporting details such as the red accents, GTI badging and tartan seats are reminders of the car’s performance edge. It’s easy to get comfortable with a wide range of seat adjustments and steering wheel reach and rake. In the back, there’s decent knee room for passengers – noticeably better than a Fiesta's or Mini's – and a boot that can swallow 351 litres (71 litres more than the previous Polo GTI). Think 'shrunk Golf GTI' and you have an idea of the versatility the Polo GTI’s interior offers.